You may not think about your digestive system when you think about your overall well-being, but that’s where good health and proper nutrition begins. From children to the elderly, good digestion is important as around 70% of our overall immunity (immune cells) lies there. So a healthy digestive system is the key to good health and longevity. 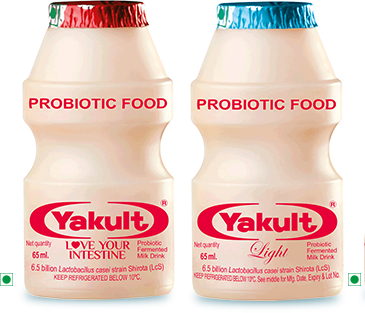 Yakult is a delicious probiotic fermented milk drink that contains Yakult’s exclusive probiotic Lactobacillus casei strain Shirota (LcS). Daily consumption of Yakult helps improve digestion and helps build immunity. Prevent digestive disorders such as diarrhea and constipation. Help build immunity and reduce risk of infections. Your digestive system is home to trillions of bacteria, some are beneficial and some are harmful. Beneficial bacteria can help digestion, make vitamins and stimulate immune cells. Harmful bacteria disturb the activity of the beneficial ones and produce harmful substances that affect your health. Unbalanced diet, high stress, less sleep, and lack of daily exercise can all put your digestive system out of balance, which then gives harmful bacteria the opportunity to multiply. As a result, you may suffer from poor digestion or weak immunity. 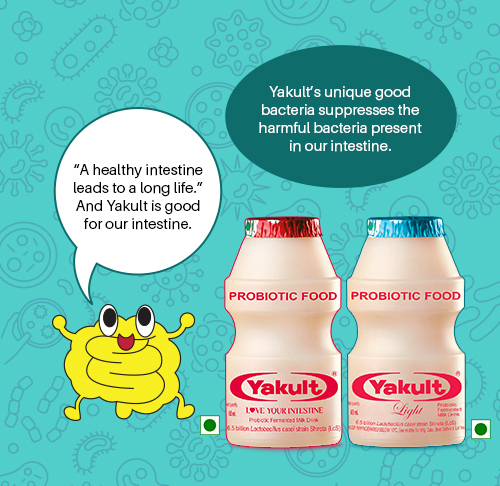 Yakult’s exclusive probiotic LcS increases the number of beneficial bacteria in your digestive system and makes it difficult for the harmful ones to take over. 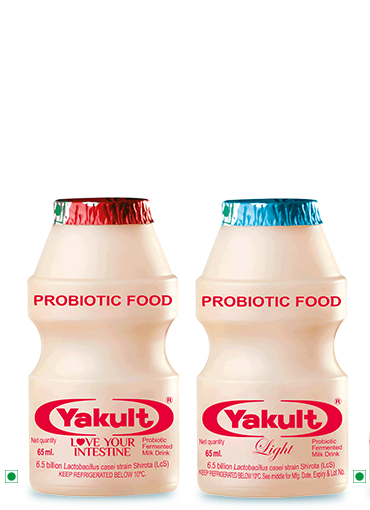 With over 6.5 billion LcS in each bottle, Yakult has among the highest concentration of probiotics in the market. Yakult is made from skimmed milk powder, sugar, glucose, Natural identical flavour, water and LcS. A small amount of sugar is added to provide nutrients to LcS in order to keep them alive during shelf life. Free from preservatives, colourings and stabilizers, Yakult is the right choice for health conscious Indian consumers who understand the importance of digestive system.